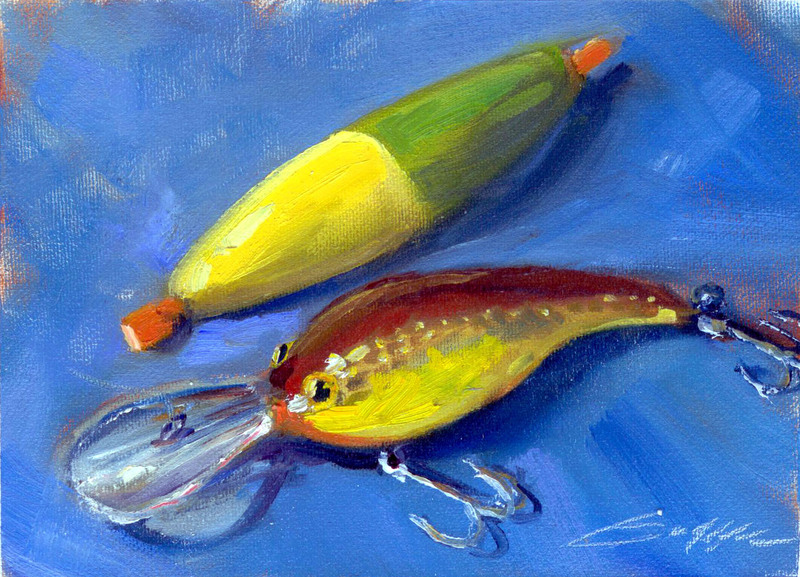 Randy Saffle - In the Field: Plein Air Painting Adventures: "Hooked" 5"x7"
My second attempt at a fishing lure. They are fun to paint! I like your subject matter. I almost went fishing today but went painting instead. Just not enough hours in the weekend to do it all. Keep up the great work!